One of the most popular tourist places in South India, Karnataka is a land of stunning natural beauty, incomparable traditions and modern culture. Some of the most famous attractions in Karnataka include hill stations, beautiful gardens, scenic beaches, cascading waterfalls and historical monuments etc. Also included in the itinerary is the visit to Goa, a state famous for its laidback beaches, cathedrals and churches. Read the itinerary given below for your kind perusal. Visit the Belgaum Fort. Other places that you will visit include Kamala Basti, the Jain Temple, the Jama Masjid, the Kapileshwar Temple and the Ananthashayana. Upon arrival in Mumbai, meet our tour representative who assists you in smooth transfer to the hotel pre-decided for your stay. After traditional welcome, check in at the hotel. Stay overnight in the hotel. In the morning, set out for a half day tour of Mumbai. Thereafter, explore the sights of Mumbai which include Gateway of India- the stone archway designed in the 16th century Gujarat style, Elephant Cave- the 7th century rock-cut cave temples dedicated to Lord Shiva situated atop of a hill on the island. With everlasting day memories, stay overnight at the hotel. Today, you will be transferred to Mumbai airport to board flight for Goa. Upon arrival, you will be transferred to the hotel. Stay overnight in the hotel. 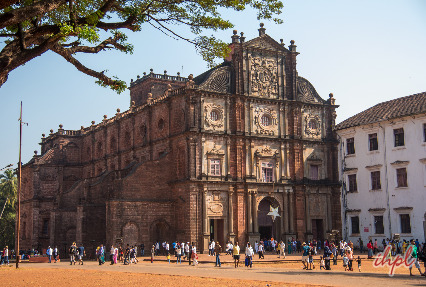 Today, be prepared to explore the length and breadth of Goa that is often known as “Archaeologist’s Delight’. In the morning, pay visit to the North Goa followed by South Goa in the afternoon. Stay overnight at the hotel. Today is you day to relax and unwind in the beauty of Goa. Explore the beautiful, refreshing and health prone beaches of Goa. Stay overnight in the hotel. Post breakfast in the morning, leave by road for Badami. On the way, visit Belgaum- a total picture of contrasts. While on one side, there is the old town area and modern on the other. Belgaum Fort is located in the heart of Belgaum. There is a famous Kamala Basti, the Jain Temple, the Jama Masjid, the Kapileshwar Temple and the Ananthashayana etc. Stay overnight in the hotel. 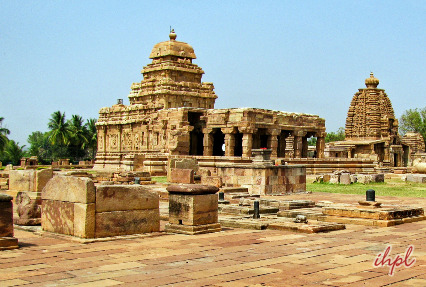 The day 7 is scheduled for the sightseeing tour of Badami. 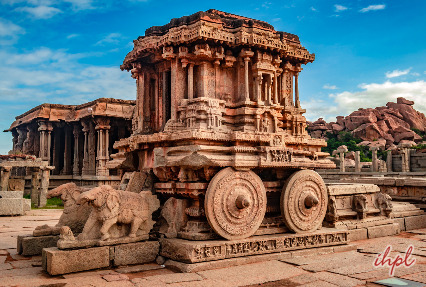 The sightseeing tour involves rock-cut cave temples, gateways, forts, inscriptions and sculptures that speak volumes the ancient South Indian architecture. You’ll have to climb a flight of steps to reach the ancient caves- all hewn out of sandstone on the rock face of a hill. Also a must are Bhutanatha temples that lend their names to the lake just underneath the cave temples. Take a dip in this green tranquil river. The river is said to have the healing properties. The 18 inscriptions in Badami range from 6th to 9th century. Stay overnight in the hotel. The 8th day is your lucky day as you are going to Hospet. On the way, visit Pattadakal and Aihole. While Aihole is well-known as the “Cradle of the Indian architecture”, Pattadakal, situated on the left bank of the Malaprabha River, is a UNESCO World Heritage Site. It has 10 major temples representing early Chalukyan architecture. Thereafter, head straight towards Hospet. Stay overnight in the hotel. The day 9 is scheduled for you to explore the beautiful world of Hospet. Located in proximity to Hampi, the site of the medieval Vijayanagar Empire, which is 13 kilometers away from all the ruins in Karnataka. Stay overnight in the hotel. In the morning, after breakfast, head straight towards the next destination-Hassan. Later, set out of the hotel and take excursion to Belur & Halebid, a beautiful example of Hoyasala’s architecture. The famous ‘Chennakeshava Temple’, which took 103 years to complete. 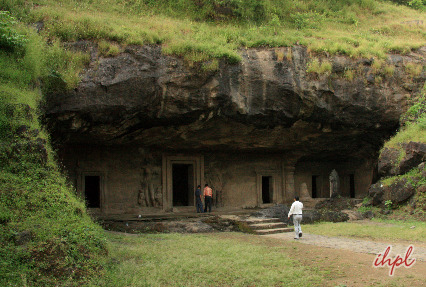 The temples of Halebid bear mute testimony to the rich & cultural heritage of Karnataka. Stay overnight in the hotel. Today is the day to witness the splendor of Shravanabelagola. It is located 51 kilometers south-east of Hassan, one of the most important Jain pilgrim centers. The major attraction is the 17 meter high monolith statue of Lord Bahubali- the world’s tallest monolithic statue. The rest of the day is free to explore the surroundings. Stay overnight in the hotel. Today in the morning, you will be going to Madikeri, which is also known as the “Scotland of India”. Upon arrival, relax for a while and come with us to visit Madikeri Fort, Abbey Falls and Nisargadhama-known for its calm, serene and picturesque environment. Stay overnight in the hotel. Today in the morning, after breakfast, embark on a sightseeing tour of the exotic locales of Mysore. Upon arrival, check into the hotel. Refresh yourself and go to visit the famous Mysore Palace and Chamundi Hills-towering over the city. These hills are 13 kilometers away from Mysore. Not to forget the famous Brindavan Gardens- a place decked with fountains & colorful lights. Stay overnight in the hotel. In the morning, prepare yourself to visit the Sri Jauyachamarajendra Art Gallery. Housed within the Jagmohan Palace, it has a good collection of beautiful paintings. In the afternoon, get set for a visit to Somnathpur. In this tiny villages housed is the famous 13th century temple famous for its great architectural beauty. The star shaped temple with three shrines is the latest & well-preserved heritage of Hoyasala architecture. Stay overnight in the hotel. Today in the morning, you are free to explore the picturesque locales of Srirangapatnam. In the evening, drive to Bangalore. On the way, visit Srirangapatnam- the famous capital of Tipu Sultan. It houses magnificent monuments that are worth a visit. In the evening, leave by road for Bangalore. Upon arrival, check in at the hotel for overnight stay. In the morning, go out and explore Bangalore- the famous “City of Gardens”. 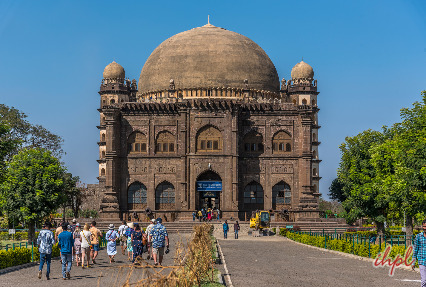 The sightseeing tour includes a visit to Vidhan Soudan-it houses the state’s Legislature and Secretariat and Nandi Temple-one of the oldest temple, popularly known as the Bull Temple. In the evening, board the flight for Mumbai. Upon arrival, you will be transferred to the hotel where you’ll be holding the rooms for wash & change. Later, you’ll be transferred to the airport to board international flight.